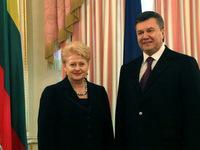 President Dalia Grybauskaitė, currently on a working visit in Ukraine, met with Ukrainian President Viktor Yanukovych to discuss the relationship between the European Union and Ukraine, and the progress in terms of European integration. Speaking at the press conference after the bilateral meeting, the President has stressed that she came to Ukraine as its friend, but Lithuania is a member of the European Union and has to convey its message. According to the President, bilateral relations are developing smoothly, while the European integration process is getting complicated. Expressing the EU's position Dalia Grybauskaitė underlined that Ukraine's integration perspective was realistic and Lithuania upheld it, however only implementation of the necessary internal reforms, respect for human rights and democratic values, as well as objective and fair trial in the case of the former Prime Minister of Ukraine Yulia Tymoshenko and in other proceedings would bring Ukraine closer to the European Union. "I am authorized to speak on behalf of the European Union. Europe is ready for closer relationship, but the democratic development of Ukraine should raise no doubts. Human rights, fair and objective trial - these are democratic values that we all should unconditionally honor," President Dalia Grybauskaitė said. The President has observed that Europe was shocked by the court judgment in Yulia Tymoshenko's case and that the prevailing viewpoint is that that the former Prime Minister of Ukraine and her colleagues are the victims of political neutralization. According to the President, Ukraine has not found yet the solution of political issues through amending the Penal Code, in particular in Yulia Tymoshenko's case. The European Union is observing the ongoing processes in this country and asks to ensure fair appellate proceedings of the former leader of the Ukrainian Government. The President also stressed that the signing of EU Association and Free Trade Agreements would depend on the speed of internal reforms in Ukraine. 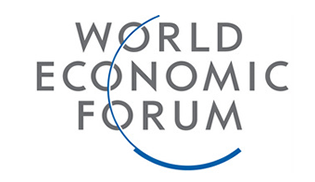 We expect from Ukraine rapid implementation of constitutional, election, law enforcement and public administration reforms, the promotion of anti-corruption legal framework, and the improvement of business environment entrenching European standards in business and trade, she said. The President underlined that Ukraine's failure to take all the necessary actions could delay the signing of the mentioned agreements with the European Union. "A key prerequisite for signing the EU Association Agreement is that Ukraine should demonstrate practical actions as a proof that it can already live in the spirit of political association with Europe. Lithuania and the European Union are not willing to dictate as they respect Ukraine, which means that we are waiting till Ukraine itself finds the solutions," the President said. According to Dalia Grybauskaitė, Lithuania strongly advocates Ukraine's chosen way to European integration and is ready to help by sharing its experience, should Ukraine wish so. The two presidents will also attend a session of the bilateral Council of Presidents of the Republic of Lithuania and Ukraine, and will open the business forum. The agenda of the visit also includes the signing of a memorandum on more effective functioning of the shuttle train "Viking" on route Klaipėda - Odessa, and on cooperation in research and technologies.